A German-based satirical magazine landed in hot water when Austrian counterterrorism authorities launched a probe into a controversial tweet, which branded Sebastian Kurz, who is set to be the next Austrian chancellor, “Baby Hitler” and urged people to “kill” him. 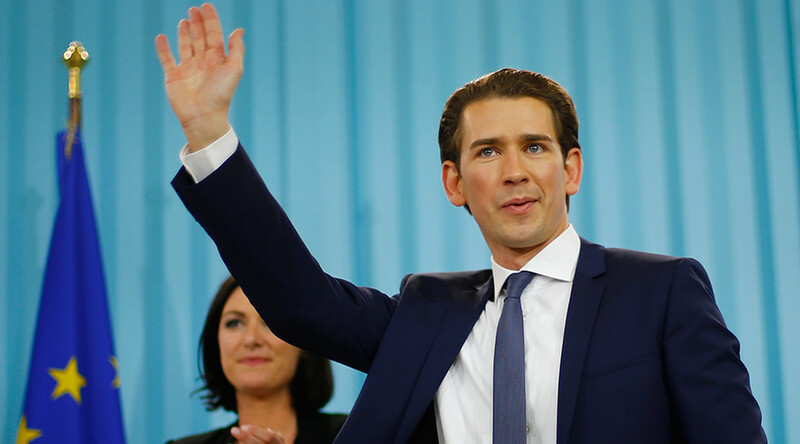 The tweet by the German satirical magazine Titanic came a day after the center-right People’s Party (OVP), led by the prominent Austrian politician Kurz, 31, came in first during the country’s general elections. — TITANIC (@titanic) 16 октября 2017 г. The tweet features a photo of Kurz with a crosshair sign over his heart and a caption reading: “Finally possible: Kill baby Hitler.” The left corner of the picture reads “Time travel in Austria” in an obvious pop-culture reference to the decades-old thought experiment on going back in time and killing Hitler before his atrocities were ever committed. The caption, however, obscurely addresses “Austrian Titanic subscribers,” giving a link to the magazine’s subscribe page. The photo was sent for investigation to anti-terrorism units and an investigation was launched, the police told Der Standard newspaper. Titanic’s head editor, Tim Wolff, told the local Meedia news outlet that the strong reaction of the Austrian authorities can be explained by the country not getting over its Nazi past, unlike the Germans. The magazine has not yet been directly contacted by Austrian investigators, according to Wolff.